When you’re heading out onto the trail and planning your next adventure, add these men's KEEN Utility 1011243 Braddock steel toe hikers to your checklist. They are loaded with great features and are a great choice if you are looking for American-Made shoes. They ... (see full details) (see specifications) #KEN1011243. When you’re heading out onto the trail and planning your next adventure, add these men's KEEN Utility 1011243 Braddock steel toe hikers to your checklist. They are loaded with great features and are a great choice if you are looking for American-Made shoes. They’re so tough, so durable, and so good at what they do that they’re good for far more than just outdoor pursuits - they’re your new favorite all-purpose men's boots. With asymmetrical left and right steel toes that meet the ASTM F2412-11 and F2413-11 1/75 and C/75 EH standards, wherever you might find yourself, whatever the situation, you’re going to feel safe out there while wearing these KEEN Utility boots. The rugged outsoles help you stay on your feet, as they're both oil- and slip-resistant. The waterproof nubuck leather of these steel toe boots not only looks great but when it’s backed up by KEEN Utility's own dry waterproof, breathable membranes, it’s the perfect protection from the elements. And they’re dry-lined too, with hydrophobic/hydrophilic two-zone comfort technology built right into these American built boots. With these waterproof boots, the EVA footbeds are Metatomically designed to work around your feet, giving you all-day comfort. And when these (Gargoyle Forest) gray and brown boots get worn out, or you just want to freshen them up, you can remove the footbeds in a few seconds. Simple, well-thought-out solutions for the real world. American built, for the American man. You just met your new favorite steel toe footwear! Welcome these men's KEEN Utility 1011243 Braddock steel toe hikers to your workday. We promise your feet will love you for it! This is my third pair of Keen boots, and this model boot is the most comfortable yet! The Keen boots run a little wide, which make the wide option very wide. This is perfect for me since I have a very wide foot. The boots get a ton of attention ( style points! ) and I too think they have a great appeal. I thank you kindly for the $10 voucher, and again thank you for your customer service providing me with a timely explanation regarding my prior email. It's nice to know there are still businesses out there that DO care about the customer service they provide. I will highly recommend you to my family and friends. Merry Christmas to you and your family and God Bless. 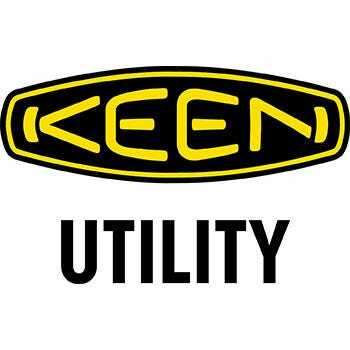 KEEN Utility 1011243 Men's Braddock Steel Toe Hikers is being added to your cart.